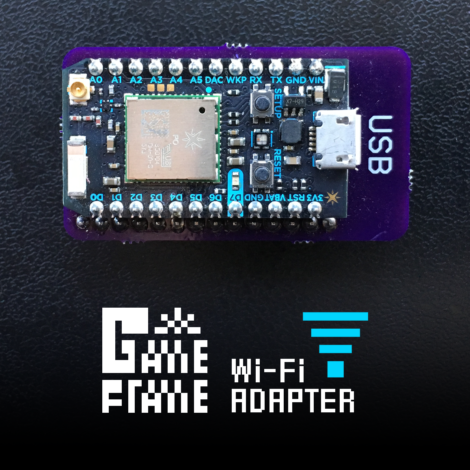 This adapter adds Wi-Fi capability to the Game Frame. Installation is simple and quick, and only requires a screw driver to remove the rear protective panel. See below for more information. 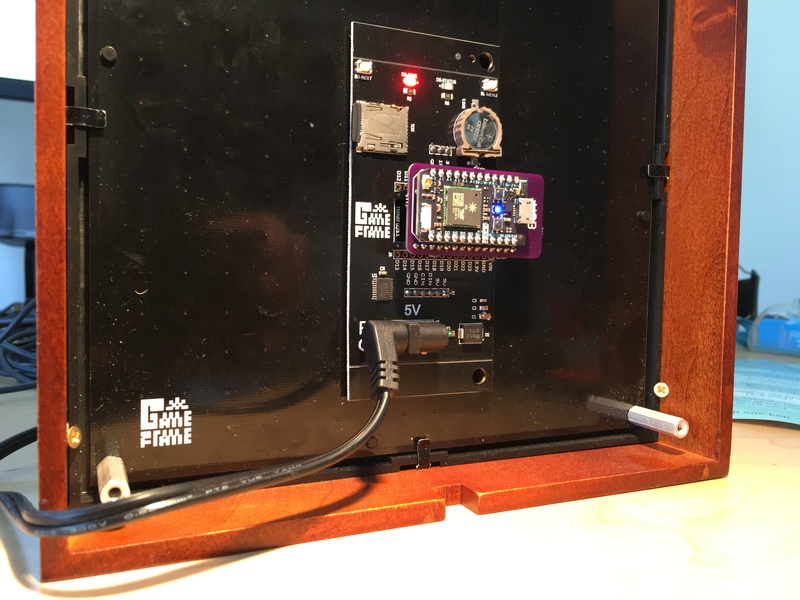 Hardware is final but the firmware should be considered beta. 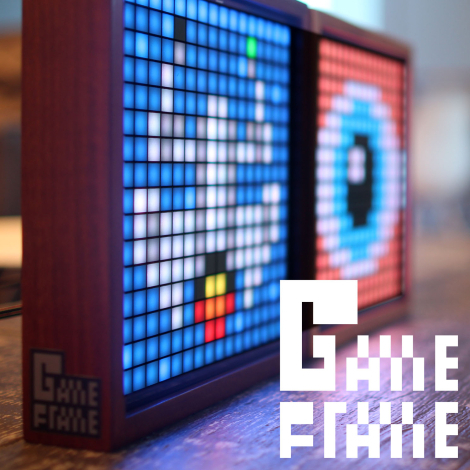 NOTE: This product is not compatible with the Kickstarter Edition Game Frame. 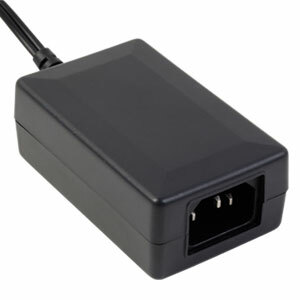 Currently the Wi-Fi adapter only ships within the USA (to avoid Customs headaches due to the wireless emitter). 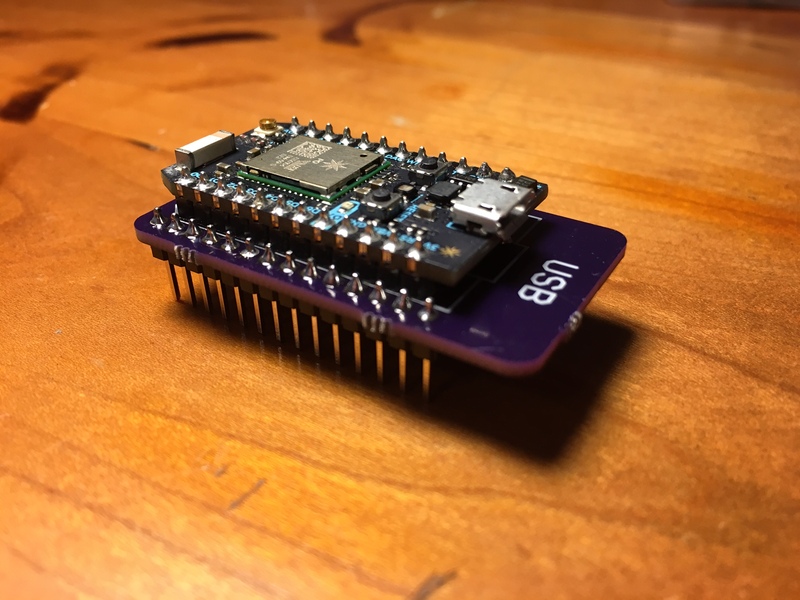 It will be available soon from eBoy in Germany and files are available on GitHub if you want to assemble your own. 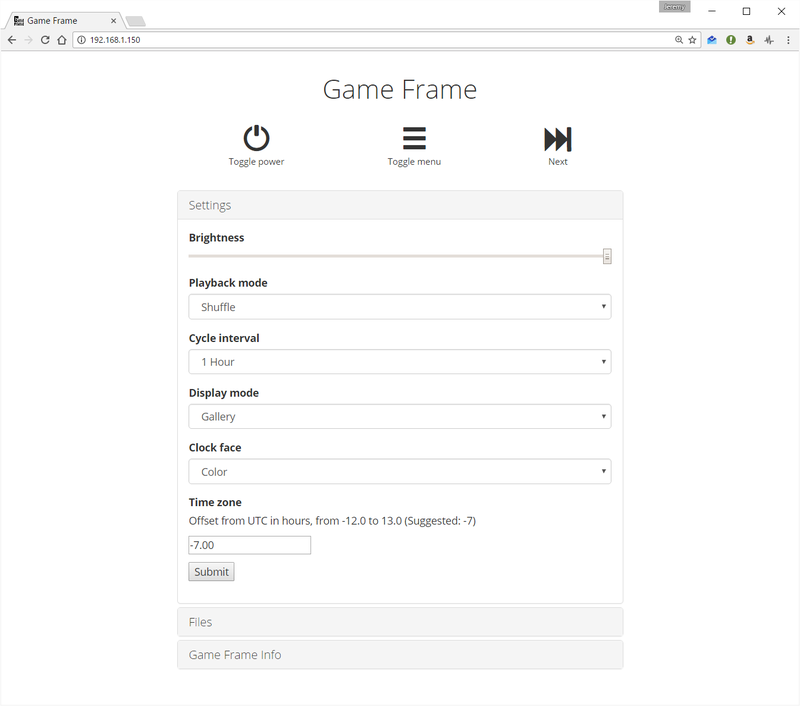 Display animations in response to Internet events like email, calendar, Twitter, etc. 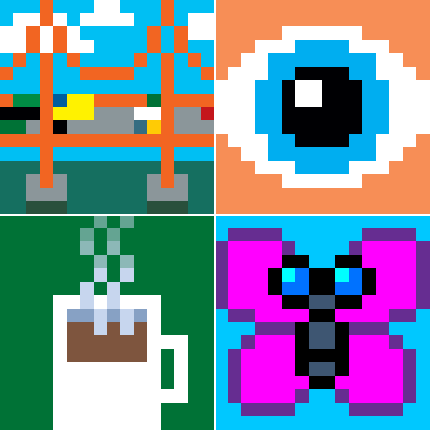 Adapter purchase includes access to exclusive eBoy animations for New E-Mail, Twitter Mention, Twitter Follower, and ISS overpass. 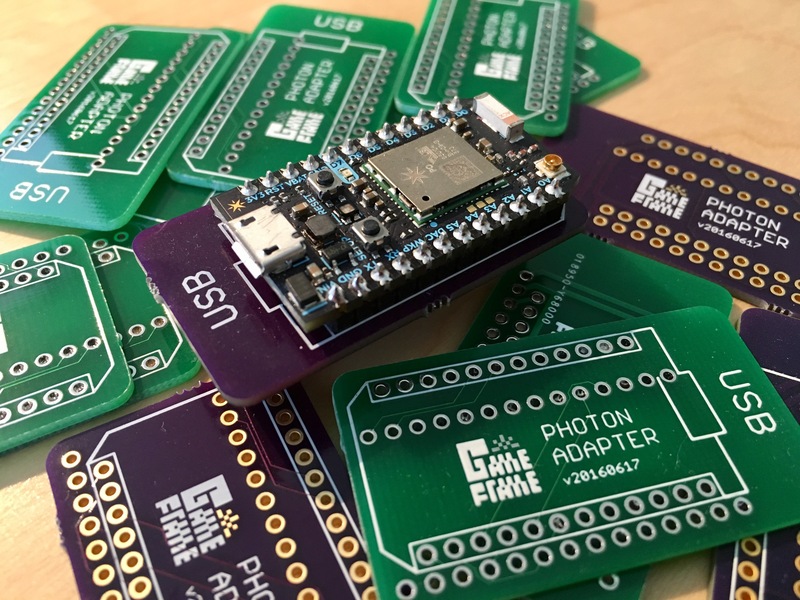 The Particle Photon is also about 3x as powerful as the Teensy LC and has 16x the Flash and RAM memory, so there’s lots of room to expand the freely available source code even further. Particle Photon requires a 2.4Ghz channel and supports 802 11b/g/n. It does not support 5Ghz channels. It performs best with a strong Wi-Fi signal, and you can purchase an antenna from Particle to improve your range. 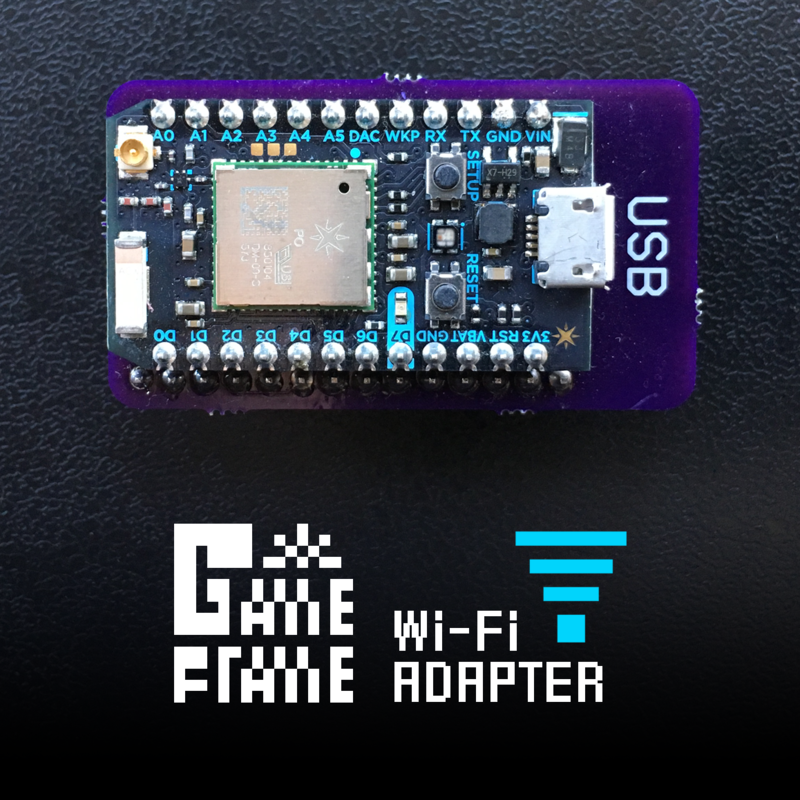 Refer to the documentation page to get the Wi-Fi Adapter online and make Game Frame start playing some cool new tricks. 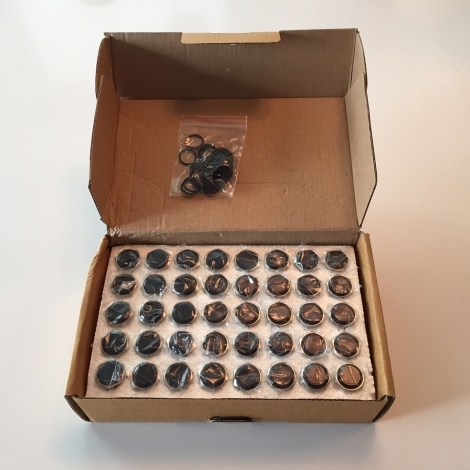 If you have access to a Particle Photon and some male headers, you can order a blank PCB from Osh Park. Soldering is very simple. Just make sure to solder the male headers first, and then the Photon. Assembly photos and links to the raw Gerber files are available on the GitHub repo.